This one is not only stupid , it’s racist. How Conservative media wanted us to see them : see #1. 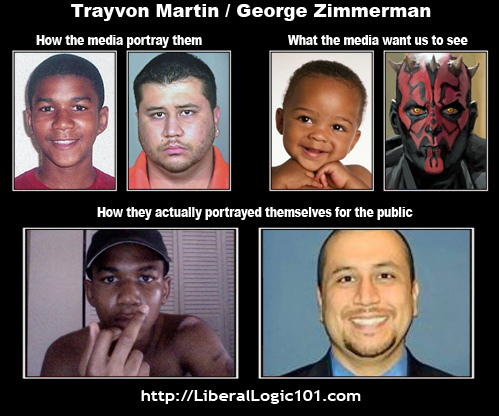 How they were portrayed to the public. Liberal Logic’s message here is that young black men are all thugs , and the white men who murder them are the real victims.Liberal Logic … yes , they are that racist. 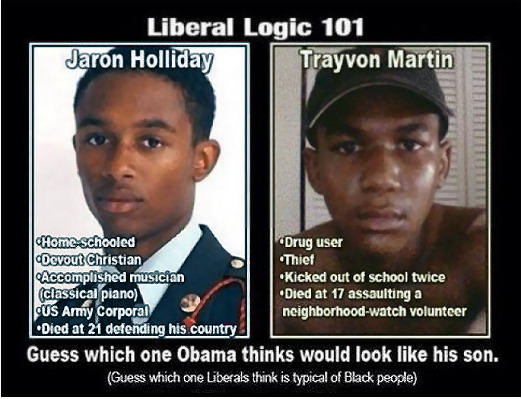 Guess which one liberal-hating Conservatives think is typical of black people? Hint : It’s not the dude on the left. I'm a left leaning dude with an attitude.